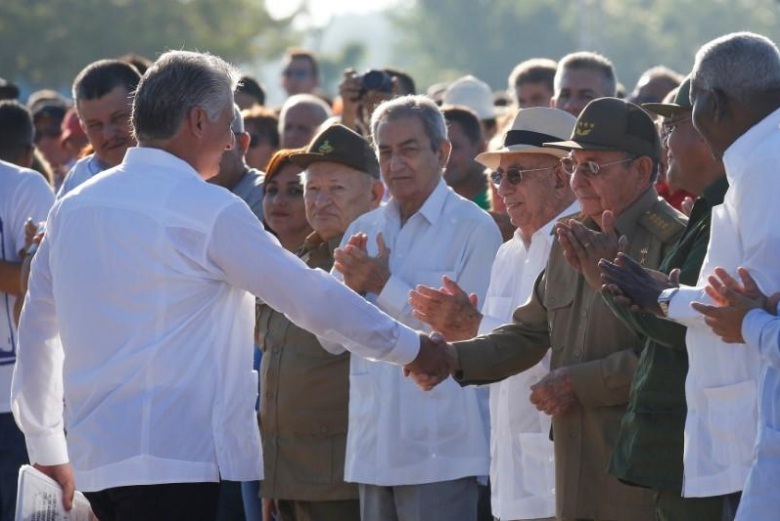 Cuba's First Vice President Miguel Diaz-Canel shakes hands with Cuba's President Raul Castro during a ceremony commemorating the 50th anniversary of the death of the revolutionary Ernesto Che Guevara in Santa Clara, Cuba, October 8, 2017. WASHINGTON - U.S. President Donald Trump said on Friday the United States would maintain sanctions on Cuba and Venezuela until they restore political and religious freedom. U.S. President Donald Trump said on Friday the United States would maintain sanctions on Cuba and Venezuela until they restore political and religious freedom.